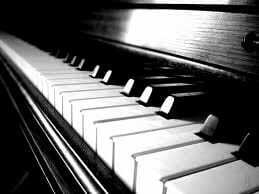 What is a pianist without the ability to hear? The Preacher’s Quartet is one amazing singing group. Literally a group of four preachers who have known each other since Moses was a pup, these men who now live in different states, join each other several times a year to present concerts at church revivals and other events. In my humble opinion, they are every bit as good if not better than some well-known professional Southern Gospel quartets. It’s not until Freda stands up that you realize there is something unusual about her. Freda walked with a cane and was escorted down the stage steps by her husband. She speaks with a slight lisp and, if you aren’t looking directly at her, appears to have not heard you. That’s because Freda, who has battled multiple sclerosis since her twenties, has a profound hearing loss. That’s what makes her piano playing even more wondrous. She can’t hear the higher register of notes and what notes she can hear are distorted. She told me she’s been playing with the guys so long, “I’m used to it.” In spite of the struggle, Freda has used the gift God gave her to bless so many others. Freda could so easily be resentful that she has lost her hearing. Instead, she’s grateful for her hands and she keeps using them to extend God’s grace through music to her listeners. It was a wake-up call to me to focus not on what I don’t have but on what I do have and use it to pay God’s grace forward to those around me. What an awesome lady! Thank you for sharing this, Karen.